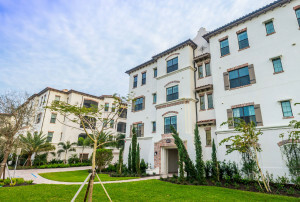 Talis Park… Luxury living, reinvigorated. 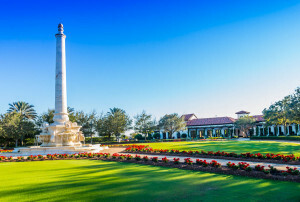 We all know a picture is worth a thousand words, and Dan Walsh has no problem coming up with those thousand words proving to you that Talis Park is the only choice for luxury golf living in Naples, Florida. However, Dan also knows when to be quiet and let Talis Park speak for herself. So let Dan save those 1,000 words for bragging about his golf game and check out our Talis Park Gallery. Situated on three-acres, the Talis Park Lawn & Racquet Club opened in the fall of 2015. Here you will find 8 har-tru tennis courts, 4 bocce ball courts, a two-lane lap pool with clubhouse and beverage center. 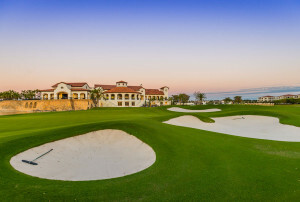 An exemplary clubhouse that is the hallmark of Talis Park. Its grand courtyard and contemporary club amenities command attention. Vyne House has three dining venues, fitness studio, spa, locker rooms, card room, board room and more. It is spacious and open with expansive balconies facing the westward fairways. Fiona’s Cafe is open seven days a week and can start your day off right with paninis or power shakes. Feast on gourmet pizza or flatbreads from the gas-fired oven. Enjoy a quick sandwich and libation at Casa Cortese between Holes 9 & 10. The Perfect spot to overlook the golf course. Staying Fit at Talis Park is a pleasure in the state-of-the-art fitness studio. You can’t help but get fit surrounded by Precor exercise equipment including treadmills, total body machines, adaptive motion trainers, Tour de France bikes, fitness free weights and accessories. It also boasts purpose-built movement studio hosts. Take in a spinning, yoga, Pilates or dance program. For the active lifestyle Talis Park created a top notch fitness studio for all ages. Nothing beats a refreshing swim or a day poolside at Talis Park. Relax with friends in a game of cards under the cabana, take in a few laps or enjoy your family in a fun-loving splash in the pool. Whichever is your preference Talis Park will fill your day with comfortable chaise lounges, umbrellas and pool towels. Nothing to bring but you. 63 listings match your search criteria. Courtesy of Florida Realty & Co.